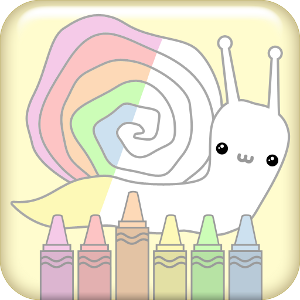 Kids' Cute and Cuddly Coloring Book is a coloring book application that is designed to be simple and easy to use. Sit down with your young one and select which picture you'd like to color, or if you'd like to create your own picture. Navigation is easy with two scrolling panes, one the shows you the categories and one that shows you details. You can save your pictures and work on them later. You can also copy your saved pictures to your photo album so you can share them with friends and family. You'll spend hours coloring with your kids whether you're on the go or at home!